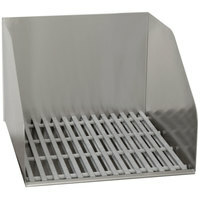 Mop sinks are some of the most convenient and useful pieces of cleaning equipment you can add to any business that regularly mops hard floor surfaces. 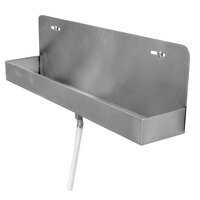 You can easily install a floor-mounted commercial mop sink into your existing plumbing, allowing your janitorial service or cleaners to dump their used water without the strain of lifting or bending their backs to pick it up. 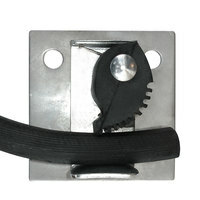 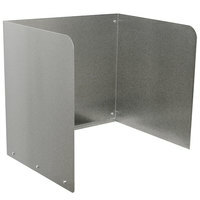 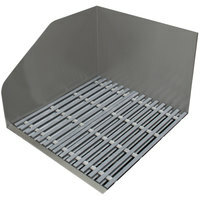 You’ll also find leg-mounted styles that provide extra storage space underneath the sink for buckets and chemicals. 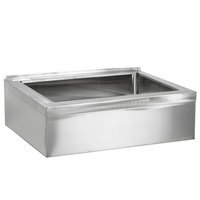 Browse our many sizes and styles of mop sinks to find the best option for your restaurant kitchen, bar, cafeteria, or other establishment. 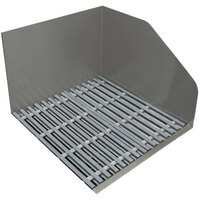 Some of these choices even include cabinets, side splash, drainage trays, and hose kits to further assist you in the cleaning process. 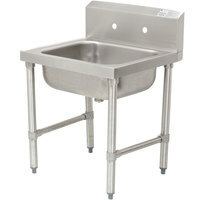 If you’re looking for a commercial mop sink that ensures ultimate sanitation, then be sure to check out our NSF Listed options. 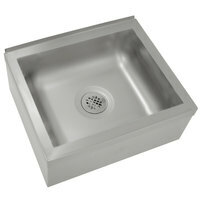 These sinks don’t have any small cracks or crevices that will trap dirty water and cause it to form harmful bacteria or mold. 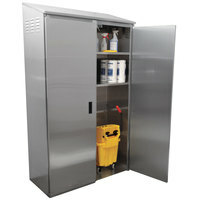 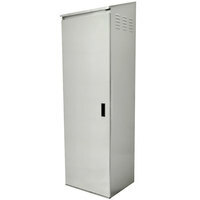 Good - Instead of a janitorial closet, store your necessary cleaning supplies in this Advance Tabco mop sink cabinet! 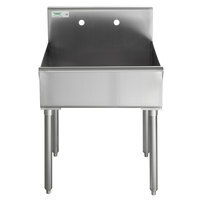 Built with 430 series stainless steel, the unit features a utility shelf, mop hanger, and right mop sink for your utmost convenience. 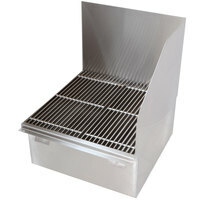 Best - If you're looking for a mop sink to use in an ultra-tough environment, then try this Advance Tabco mop sink cabinet made with 300 series stainless steel. Strong and built to last, this cabinet not only features a right mop sink, but a utility shelf and mop hanger to accommodate all of your necessary cleaning supplies! 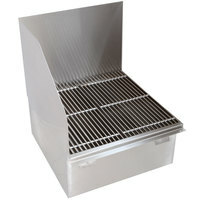 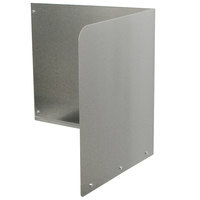 Advance Tabco 9-OPC-84 Stainless Steel Mop Sink Cabinet - 25" x 22 5/8" x 84"
Good - Instead of a janitorial closet, store your necessary cleaning supplies in this Advance Tabco mop sink cabinet! 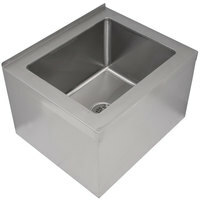 Built with 430 series stainless steel, the unit features a utility shelf, mop hanger, and mop sink for your utmost convenience. 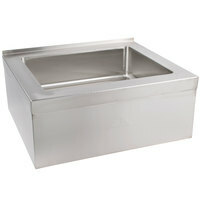 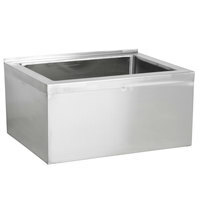 Advance Tabco 9-OPC-84-300 Stainless Steel Mop Sink Cabinet - 25" x 22 5/8" x 84"
Best - If you're looking for a mop sink to use in an ultra-tough environment, then try this Advance Tabco mop sink cabinet made with 300 series stainless steel. Strong and built to last, this cabinet not only features a mop sink, but a utility shelf and mop hanger to accommodate all of your necessary cleaning supplies! 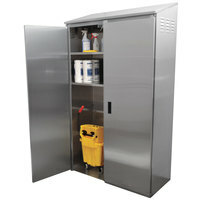 Good - Instead of a janitorial closet, store your necessary cleaning supplies in this Advance Tabco mop sink cabinet! 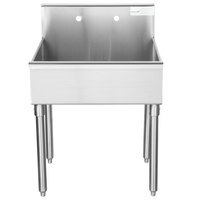 Built with 430 series stainless steel, the unit features a utility shelf, mop hanger, and left mop sink for your utmost convenience. 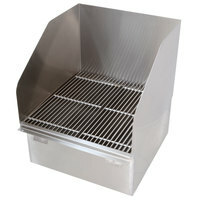 Best - If you're looking for a mop sink to use in an ultra-tough environment, then try this Advance Tabco mop sink cabinet made with 300 series stainless steel. 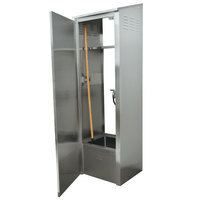 Strong and built to last, this cabinet not only features a left mop sink, but a utility shelf and mop hanger to accommodate all of your necessary cleaning supplies!